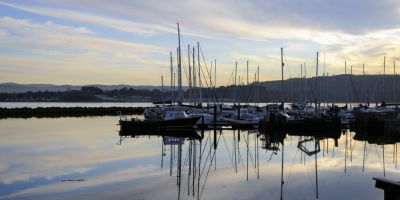 Rhu Marina comes equipped with 235 water berths and 35 moorings. The marina is accessible during all tides and weather and has free, secure wi-fi. Red Diesel is available in the marina and all pontoons are fully serviced. A full boatyard service is provided 24 hours a day and free parking is consistently available on site. Rhu is a historic parish located just North of the town of Helensburgh. Traditionally named ‘Row’ but changed so that visitors would pronounce it correctly, the village was popular in the 19th century for wealthy ship owners and merchants. The parish church dates back to 1851 and stands on the stones of it’s 17th century predecessor. The worlds first successful commercial steamship was invented in Rhu by Henry Bell, who now remains buried in the kirkyard. Rhu Amateur Football Club has been in existence since 1891 and Rhu itself was the birthplace of Peter Campbell, Peter McNeil and brother Moses, three of the four founding members of Glasgow Rangers. 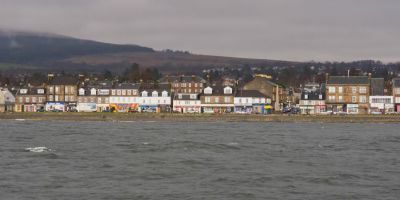 Numerous nature walks also exist around both Helensburgh and Rhu, allowing anyone to see the local wildlife and natural habitats. 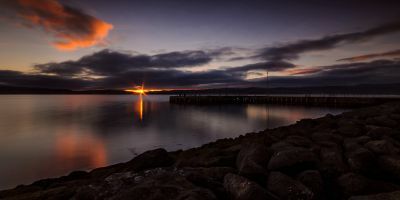 Across the ‘Spit’ near Rhu lies the town of Rosneath which is worth visiting for a few hours just to walk around and experience this quiet little village. When it comes to food, a short journey into Helensburgh is always the best option. The Wee Kelpie is one of the most well know chip shops around and cooks everything fresh when you order. Even so, the service is quick with no more than a ten minute wait for each meal. But be warned, this chip shop is super popular with the locals. If you’re looking for more of a dine-in experience, there’s not much better than La Barca Tapas Restaurant. All the staff are extremely friendly and will do whatever they can to seat you. The portions are well sized and the food is delicious. The price is amazing too! N 56° 0' 41" W -4° 46' 34"
A flight to Glasgow Airport will open up train, coach and car journeys for you, with none of them taking longer than 2 hours to reach Rhu. 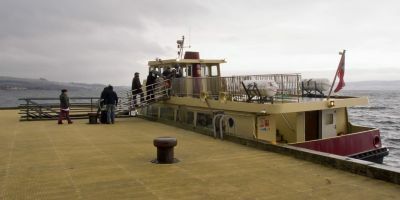 The train from Glasgow runs direct to Helensburgh and from there, it’s just a short bus journey up the road to Rhu. Travel time is no more than an hour. While there are no direct bus routes from Glasgow to Rhu, a train journey followed by a bus is the best way. The car journey from Glasgow via the M8 and A82 will take you right next to Rhu and usually uses around 40 minutes of your time.